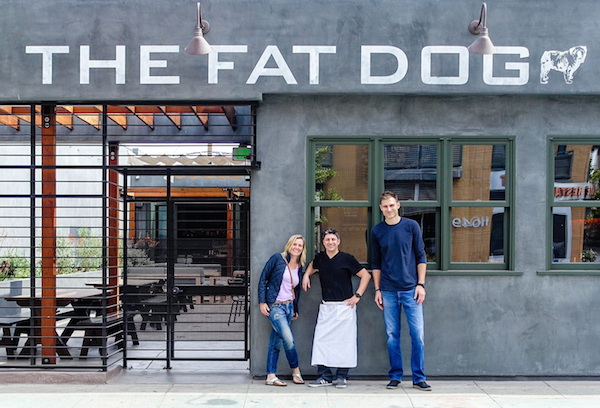 The Fat Dog is the newest restaurant and bar to join the NoHo Arts District neighborhood. Did you know The Fat Dog NoHo is the second outpost of the popular Fairfax gastropub? It fits right in the neighborhood, serving up classic comfort food from chef John Gladish, craft beers, with a large selection by the bottle and on tap, and a cocktail menu from star bartender Matthew Biancaniello. The atmosphere is casual and relaxed, and the service emphasis is on friendly hospitality. So let’s give a big North Hollywood welcome to the owners Richard and Susann Mandeville for choosing the arts district as their second home.